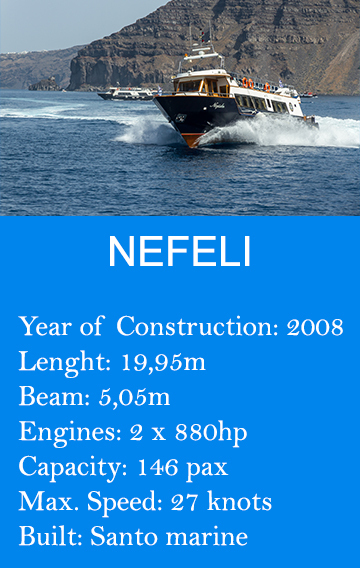 The name come the Greek word nephos that means “cloud”, in the Greek mythology, Nephele was a cloud nymph who figured prominently in the story of Phrixus and Helle. 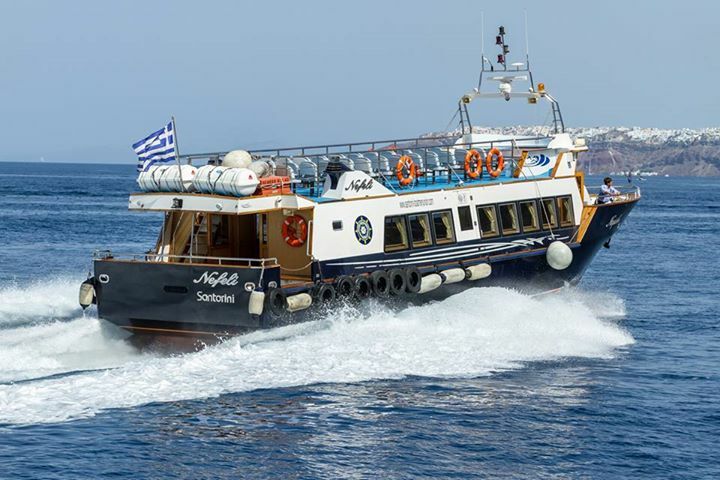 Greek myth also has it that Nephele is the cloud whom Zeus created in the image of Hera to trick Ixion to test his integrity after displaying his lust for Hera during a feast as a guest of Zeus. 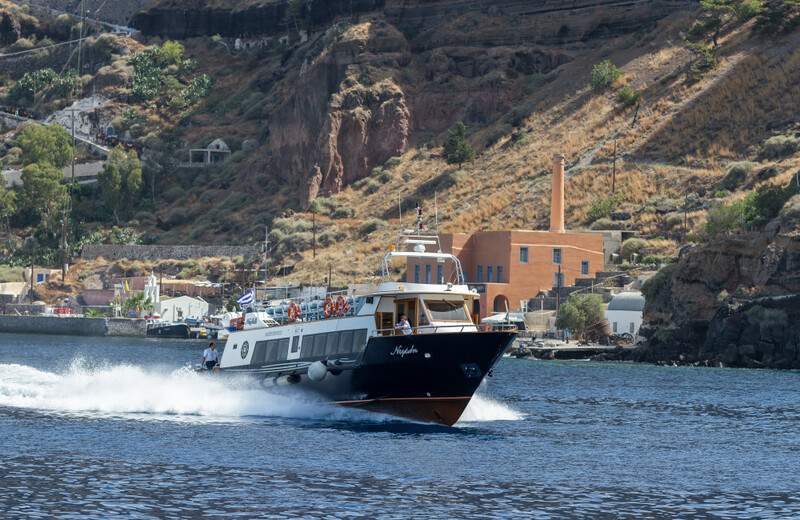 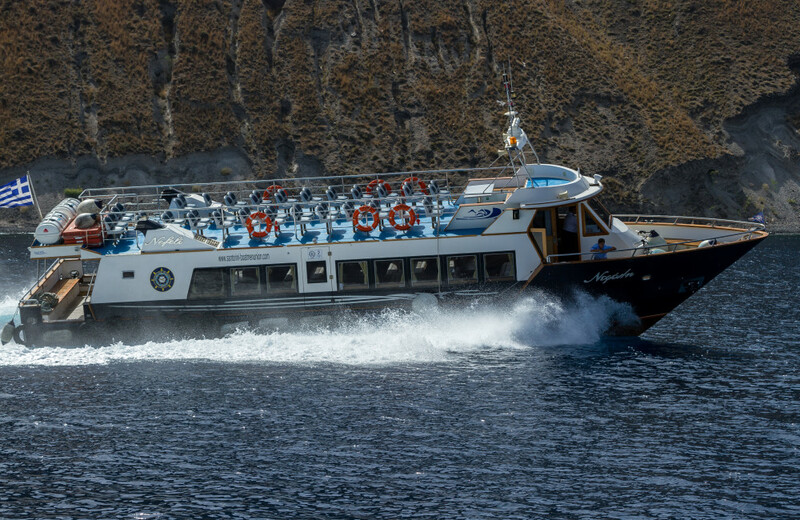 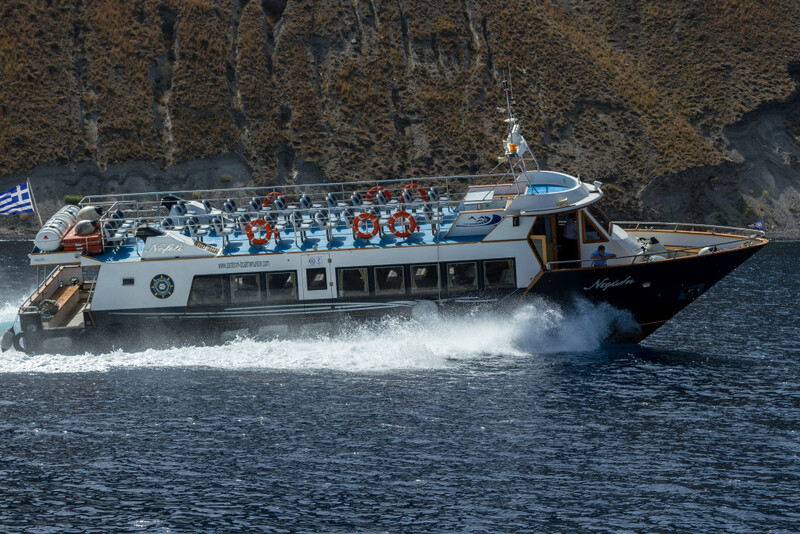 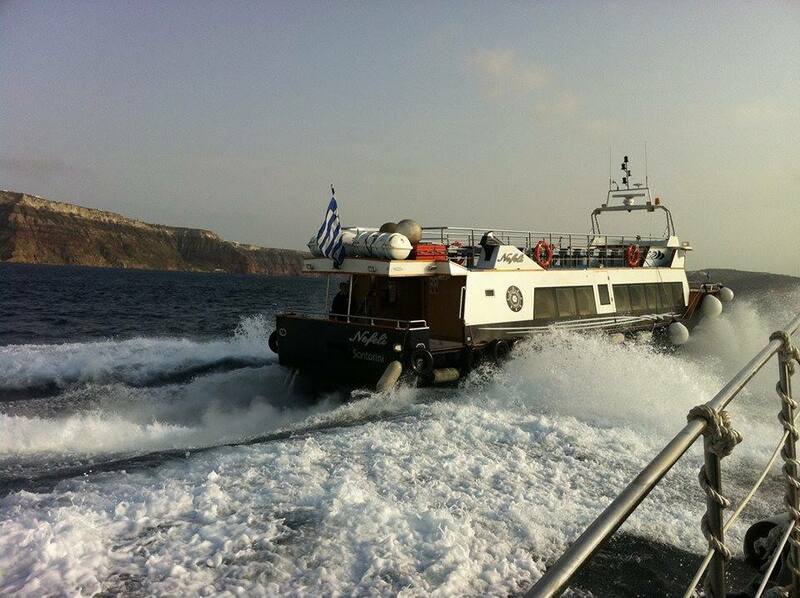 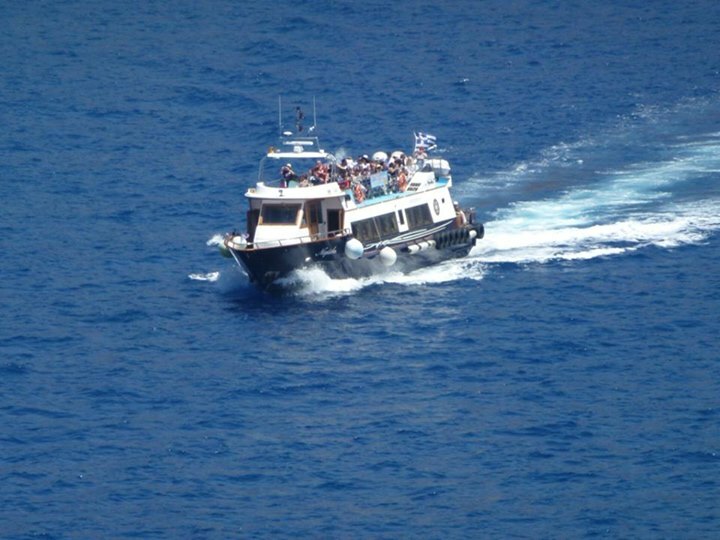 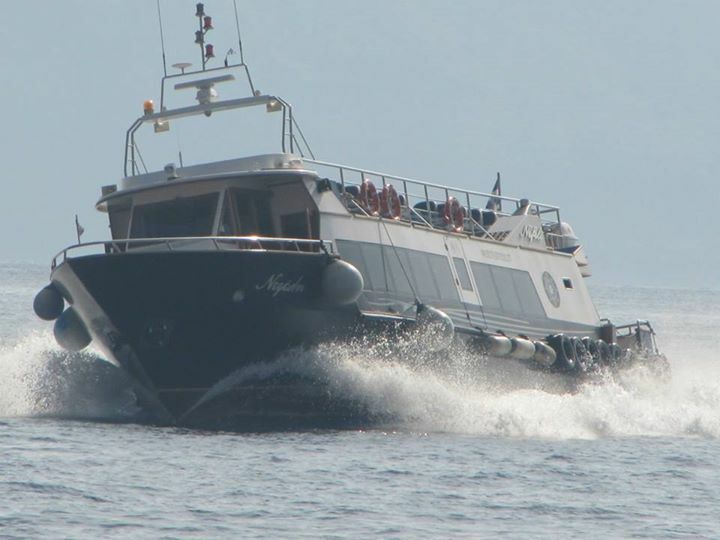 The vessel has been built in 2008 by the Epsilon Marine, who had the shipyard in Chalcidice, it has been provided of all the most synchronous technologies and of two engines that supplies 800hp each one. 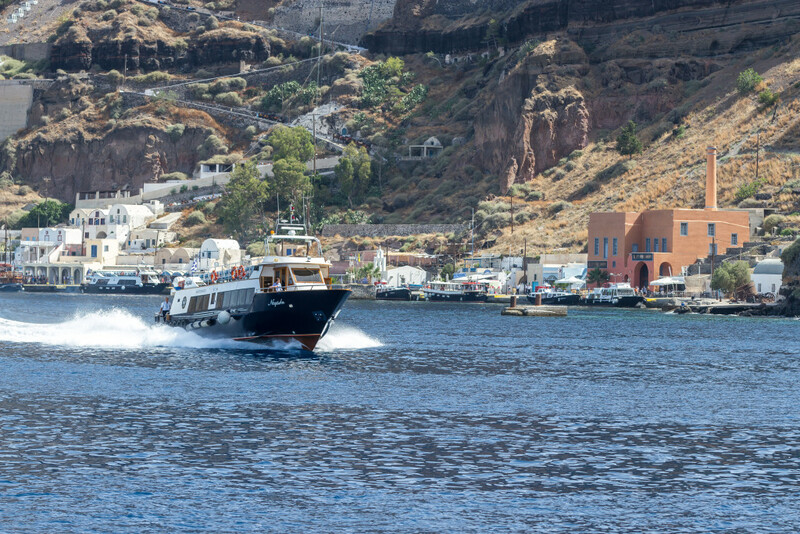 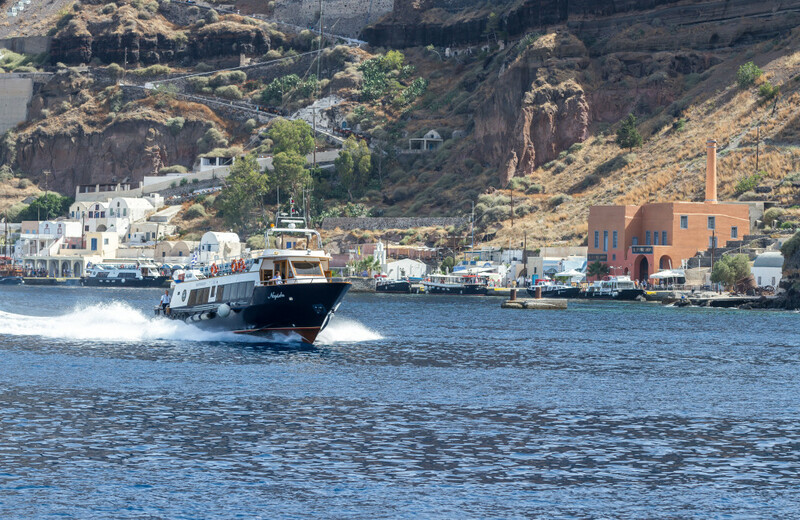 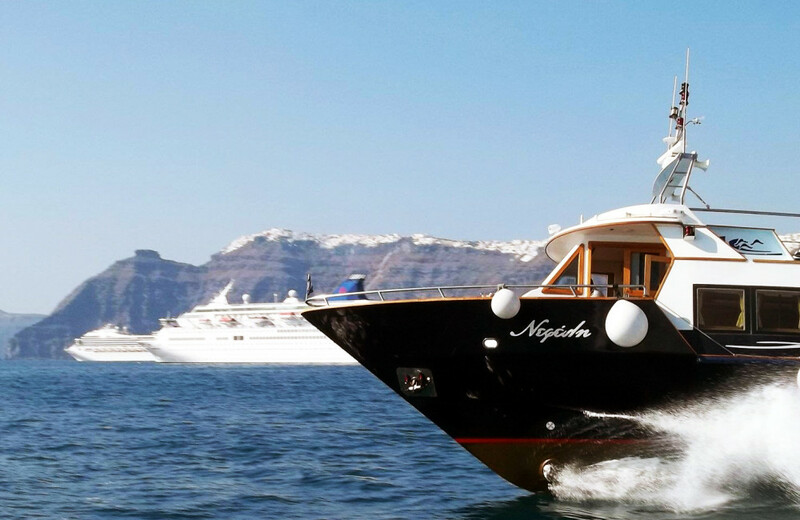 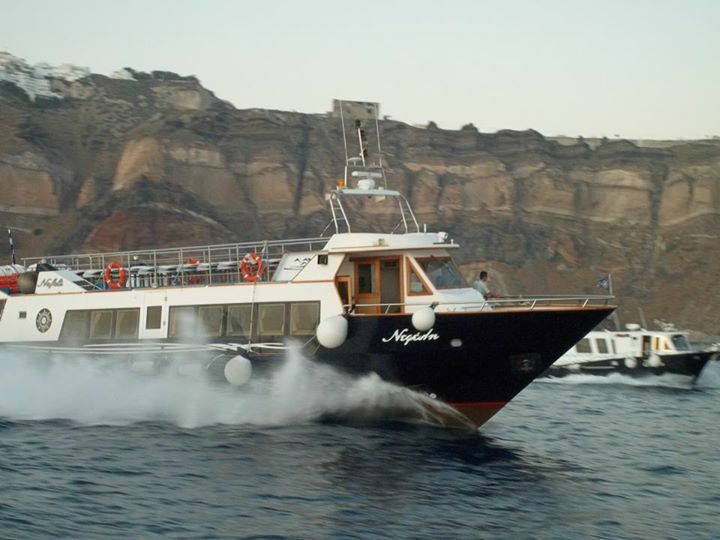 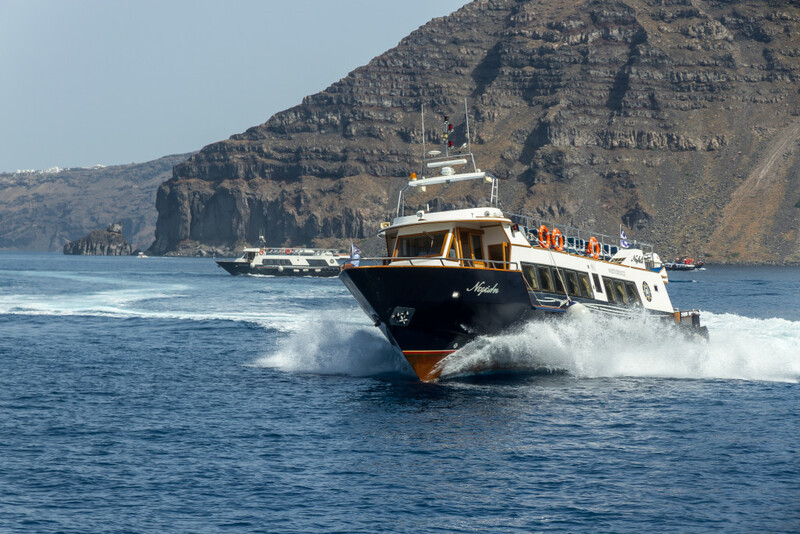 Its lounge has been completely restored in our own shipyard in Vlychada, Santorini, on 2010, providing the vessel of a comfortable air-conditioned lounge with leather and wooden sofas extremely refined and cozy. 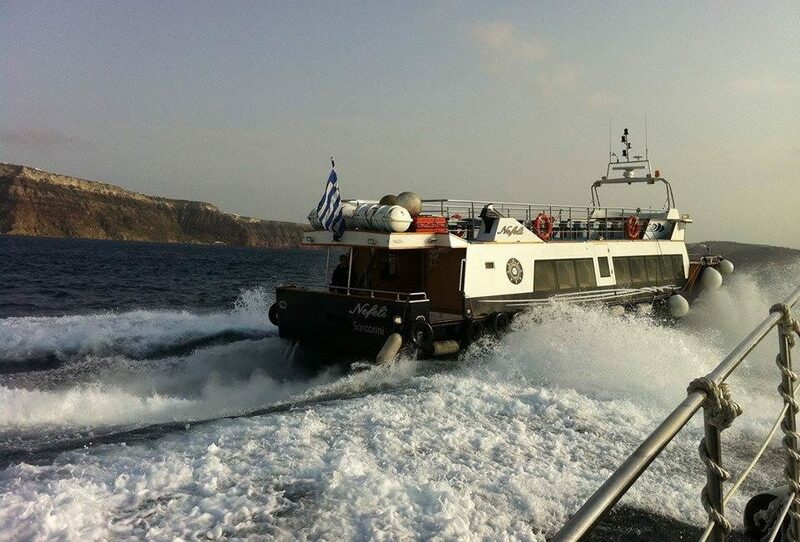 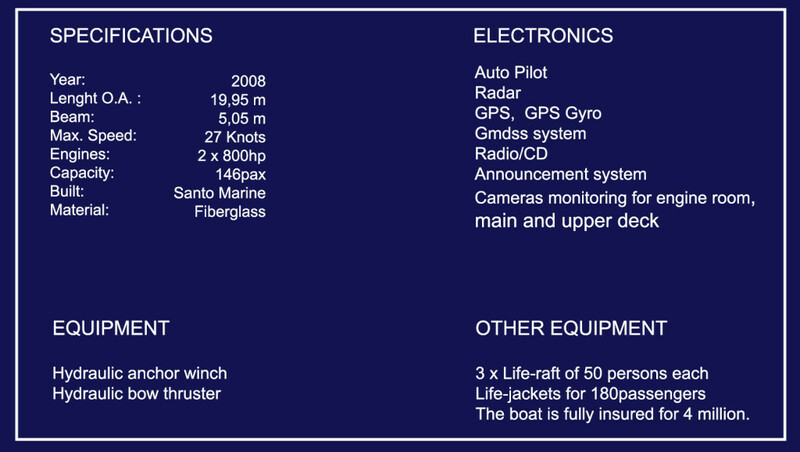 It was the fastest vessel of the fleet with a maximum speed of 29 knots per hour.